What a users wants from your website. Putting yourself in the shoes of your website visitors ensures that your website gives your target audience exactly what they want. 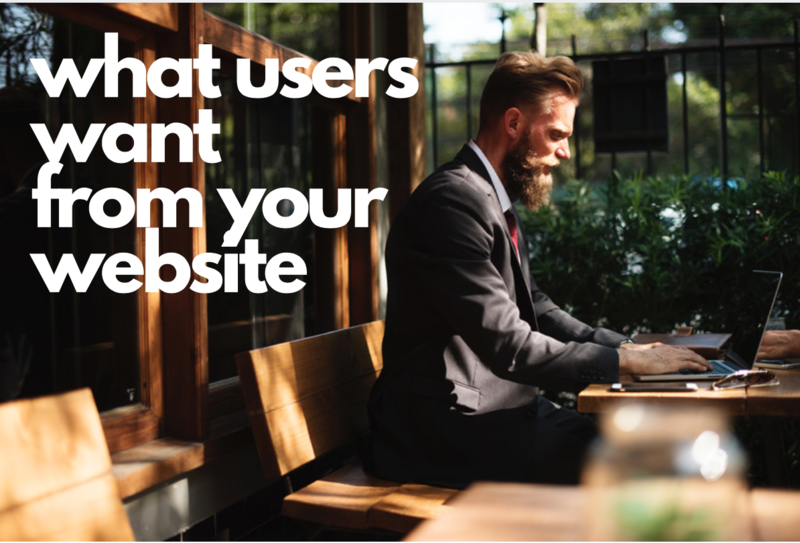 While it’s a simple task to figure out basics about your typical site visitor, it isn’t always as easy to figure out what each individual user wants from your site. Figuring out what users want isn’t always easy, but it is worth the effort. What they want may change often so ask your current customers what you’re missing and continue to improve and add to your website over time. If you always seek to put the customer first, they will turn to you over your competitors.